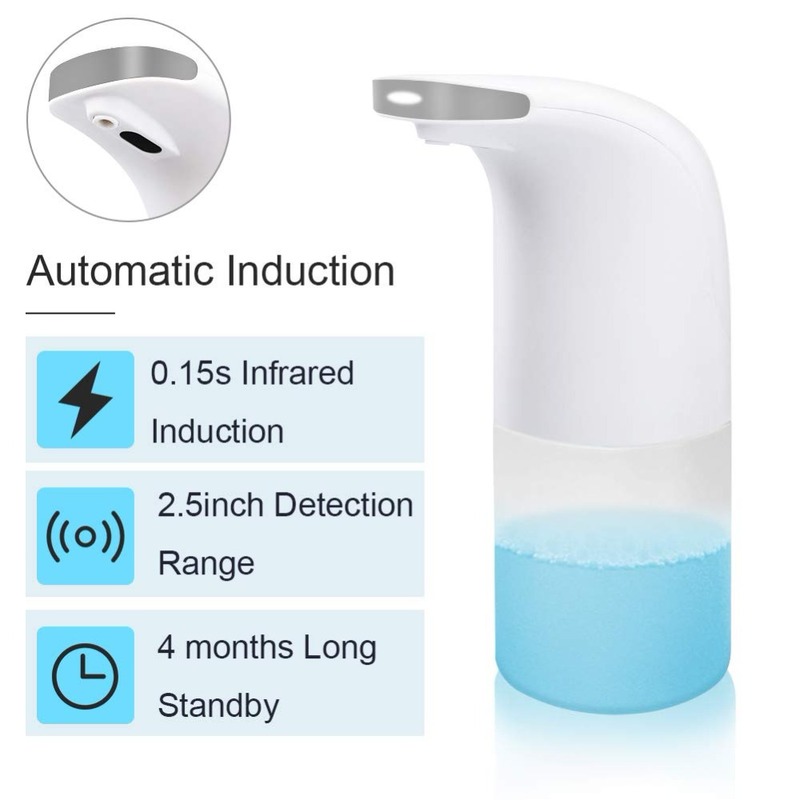 [Non-touch automatic soap dispenser] Using intelligent infrared sensor technology, you can get your soap by placing your hand at the nozzle about 5 cm. 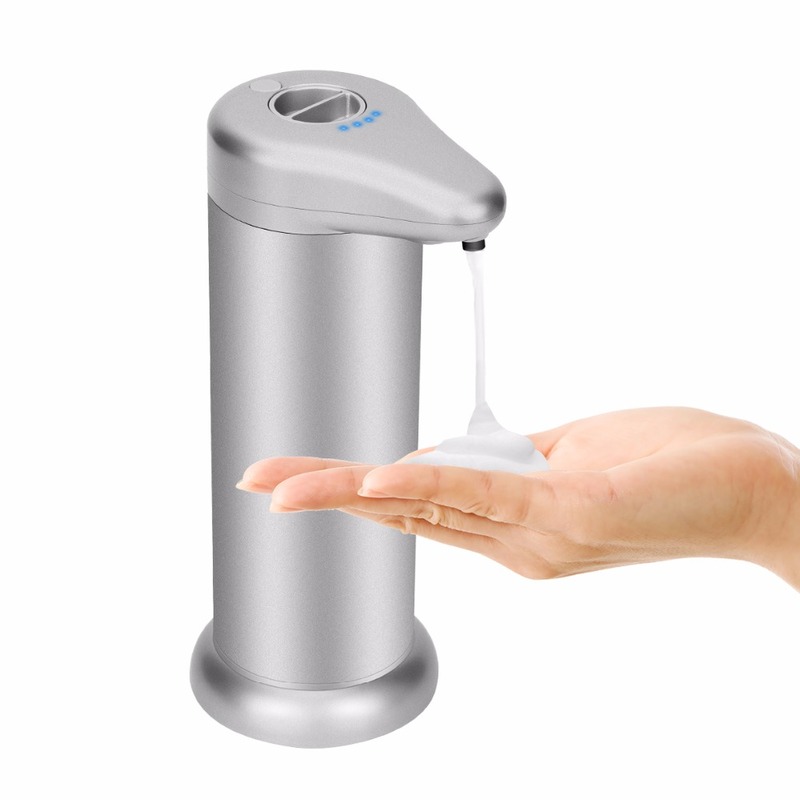 As beautiful as magic, your child loves to wash his hands, reduce bacteria, and be healthier and safer. 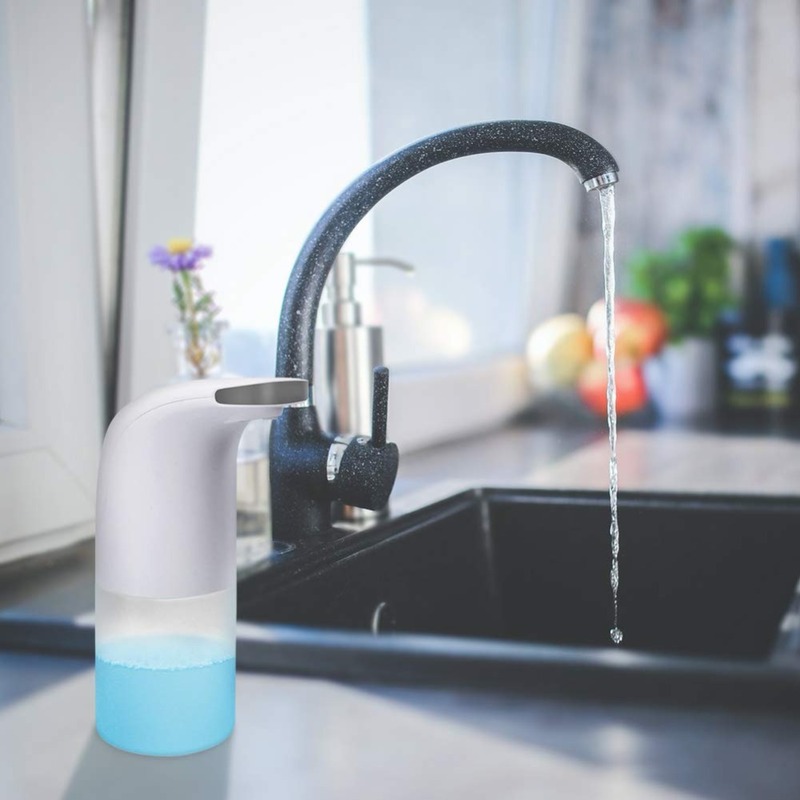 [Unique battery position design] Place the battery on top to prevent water from leaking and damaging the board. 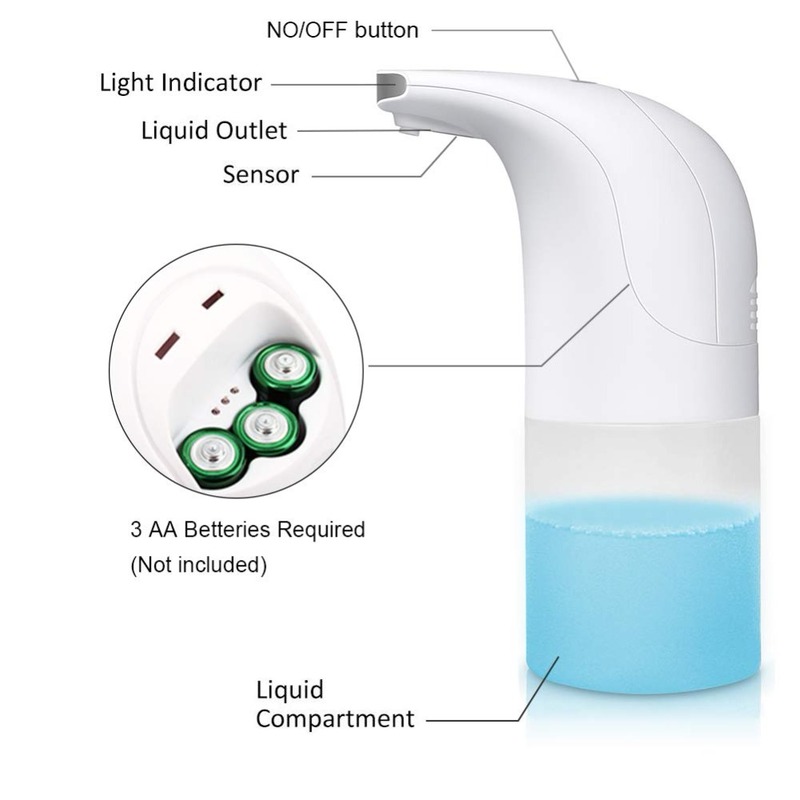 Use 3 AA batteries (not included) The special design of the battery can extend the use time. 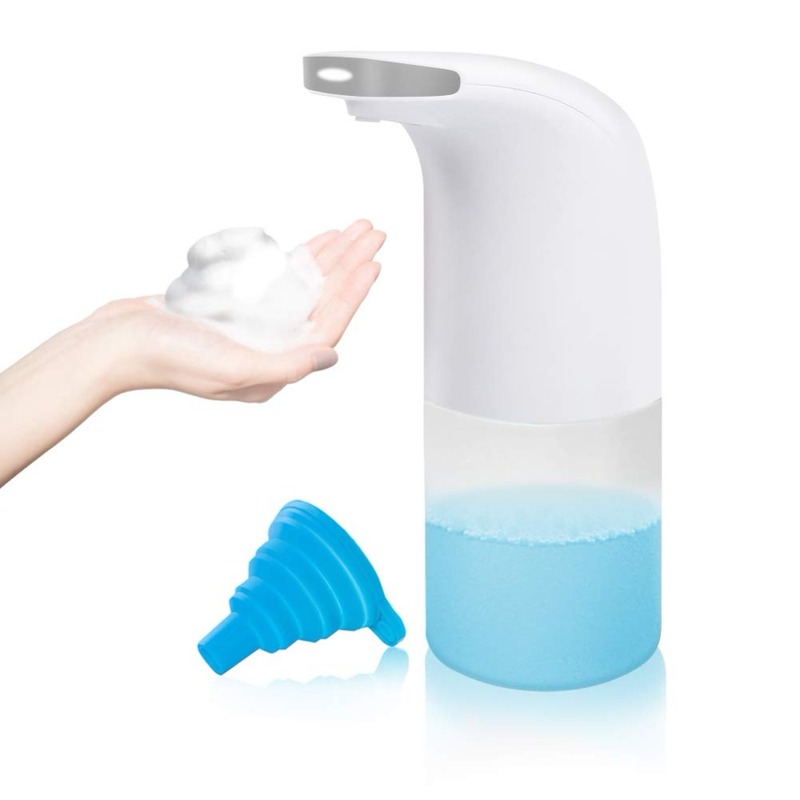 [Modern design shape] Smart foam soap dispenser adopts ABS environmental protection material and has high-tech appearance. 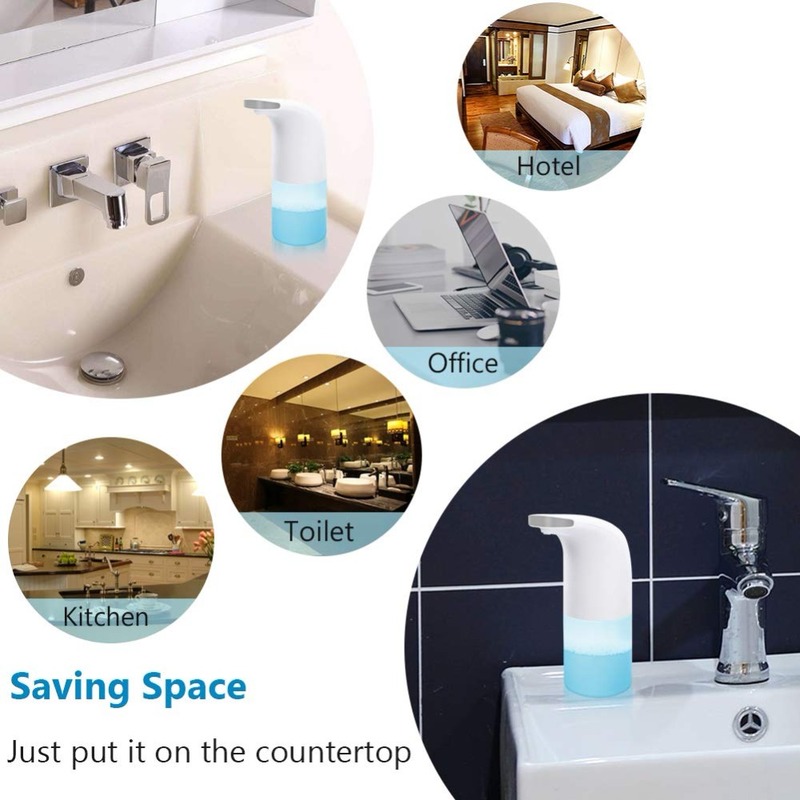 Suitable for bathrooms and kitchens in any setting, as well as hotels, restaurants and even hospitals. 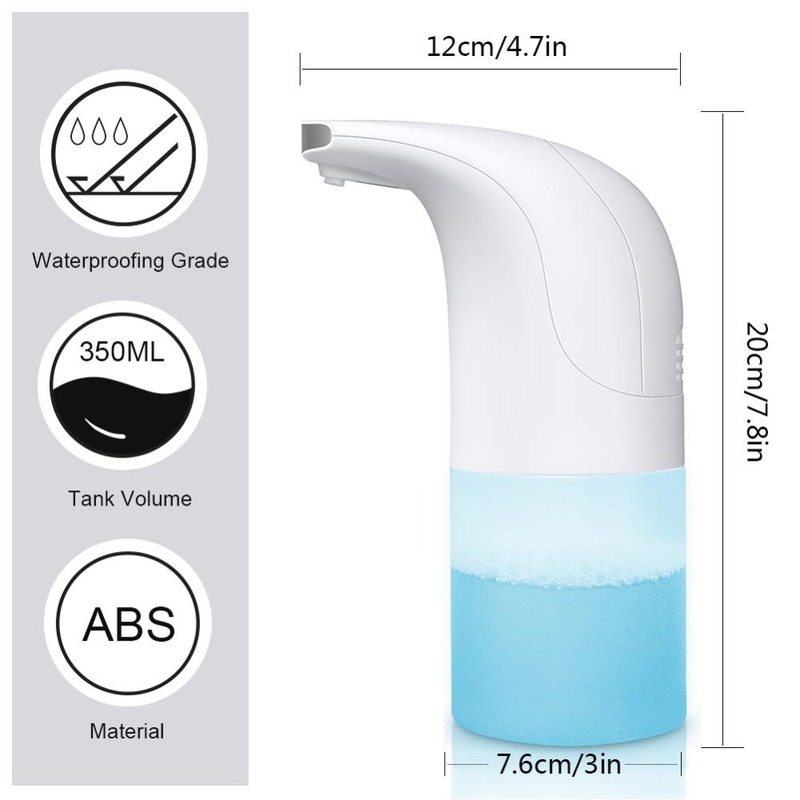 [Widely applicable] After many trials, the Smart Soap Dispenser is suitable for all liquid soaps that can be mixed with water, such as hand soap, shower gel and shampoo.